If you are going to look at the situation of buying and selling heavy equipment for construction today, the rate of purchase is getting higher. Many construction firm had been starting to buy heavy equipment for different operations. On the other hand, there is a sudden outbreak of different crimes including vandalism and theft. This cases had alarmed different firm owners and made them worry about their properties. The good thing is: a RFID monitoring system had been developed by Trimble to help avoid loss of properties. According to CNN, this radio frequency identification technology is a specialized designed system that allows contractors to track and locate equipment quickly at a real time. This is due to the rising report of stolen construction equipment in the US and other countries. What is this tracking device? This device has a special capacity to detect the location of equipment at an exact time and directly connects from the field to the office using the GPS and telematics. This is an automatic wireless update with high accuracy that let the managers and owners track and find the equipment from the site or even in the storage area. How does this tracking system work? By placing the RFID tags on the equipment, the assets are directly connected to gate and vehicle mounted RFID readers and automatically sends the details to the asset manager database for the centralized data management and reporting in the office. The same wireless connection and data information is also send back to the employees in the field. These tags are available in different sizes and shapes that are appropriate to your small construction instruments and Wajax equipments. This real time identification and tracking system will help a lot in the construction firm, reducing the time of locating and transferring equipments, avoid theft, and even lessen the expected financial loss in buying new assets in replacement of the lost one. This tracking and identifying technology can be also used in the inventory of the materials in the field. The asset manager database that is at the office will save the details and gather information of the location of the assets. 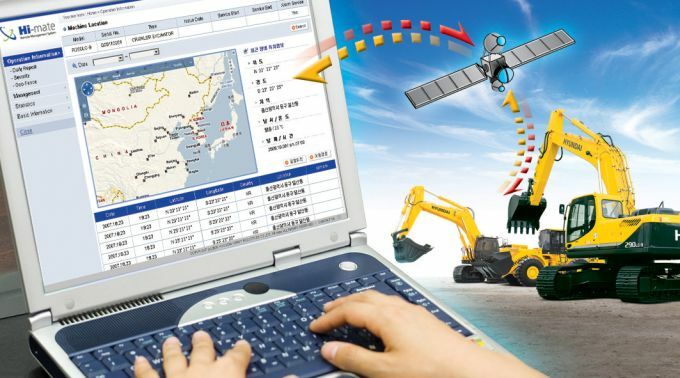 An authorized employee that can access the manager database, can create record of the inventory of the equipments by tracking the location of the materials. This system can also be used to monitor the physical situation of an equipment using the inspector pro application condition information combined with location data. This system is giving the manager the greater view of the materials. Helping them analyze if they are going to buy new or if there is something wrong with the machine or tools.